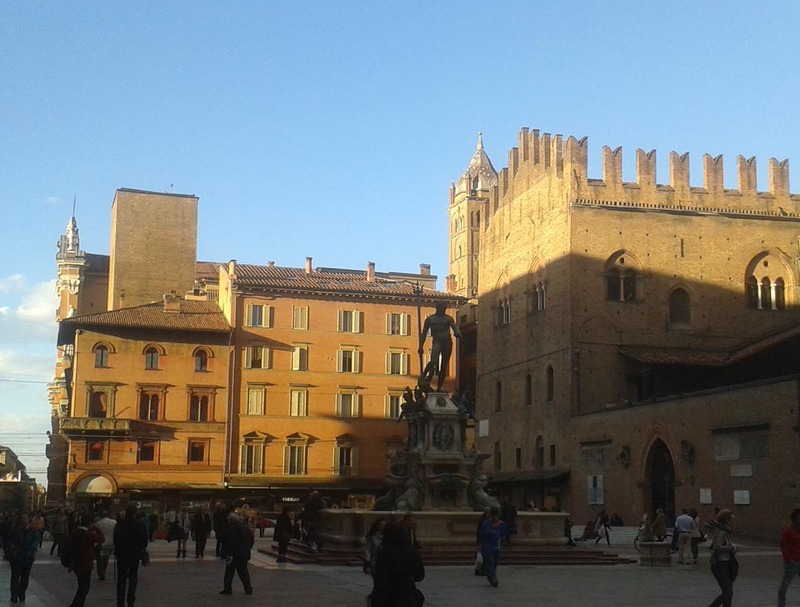 Just before Easter I went to the Bologna Childrens’ Book Fair in Italy for the first time. I had heard it was huge but was still agog when I saw quite how huge it was….a vast bustling mass of publishers’ stands which didn’t seem to have any rhyme or reason (until I found a map – the bus had dropped us off at a side door so I’d missed the official entrance with information about where things were). Luckily one of the first stands that I stumbled across was Child’s Play, who I’d illustrated two books for a few years ago, and they pointed me in the direction of the main entrance. 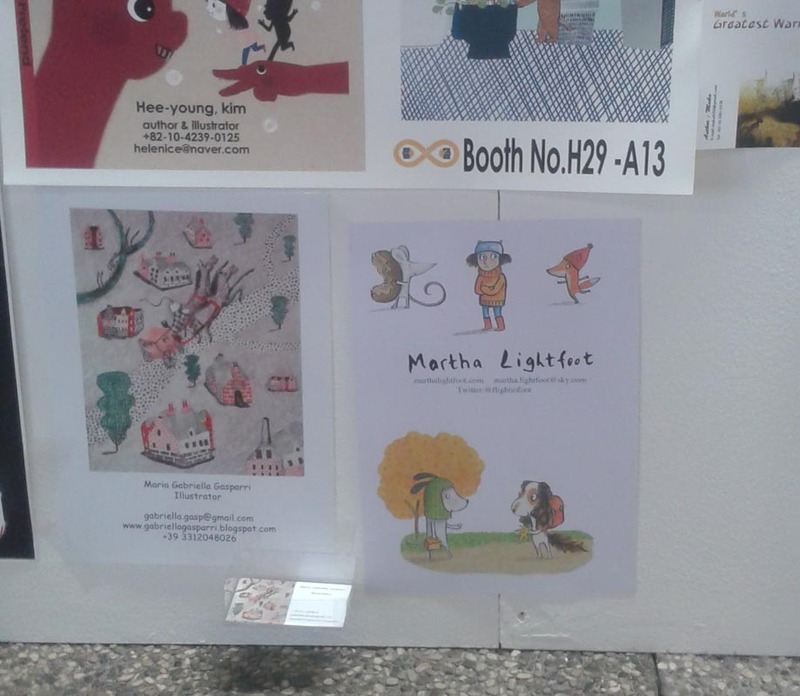 When I got there I found the Illustrators’ wall, where illustrators can pin up postcards and business cards, and I put my own poster up. I’d heard that you needed to get there early if you wanted a good spot, and by 10.30am the only spaces left were near to the floor, which I didn’t really mind. It all got a lot more crowded later – this was the first of the four days. 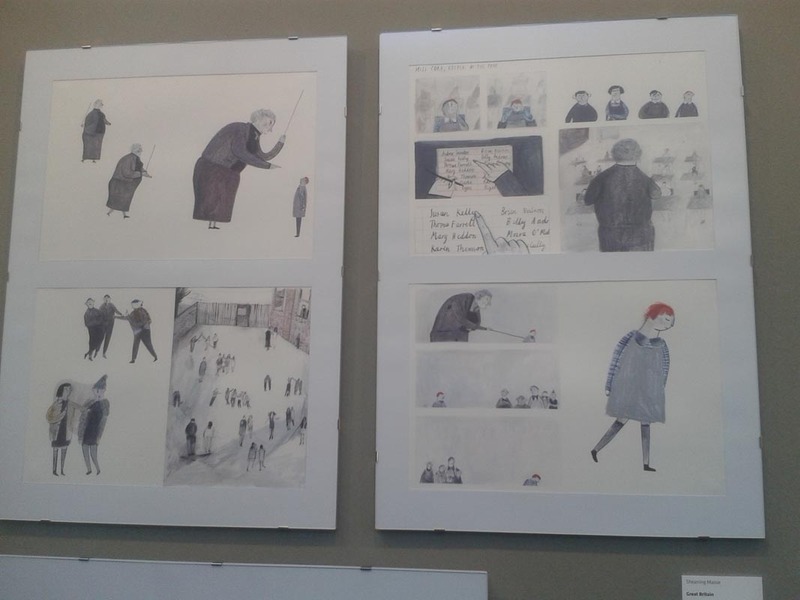 What I hadn’t realised was that there were actually several Illustrators’ walls, not just one. It was interesting to see the variety in style between the posters. I saw some really lovely work on the publishers’ stands, especially the Italian ones. Every time I go to Italy I marvel at books illustrated by artists like Anna Laura Cantone – so lively and colourful. Lots of the publishers were showing mock ups of books that hadn’t been completed yet. My friend Rebecca Ashdown has done beautiful illustrations for this book, The Glump and The Peeble, written by Wendy Medour, to be published by Frances Lincoln….AND she hand-stitched this Peeble for good measure! The exhibition of illustrators’ work was fantastic. I loved the work by this British illustrator, Maisie Shearing, who I’ve since heard won the International Award for Illustration for her project Susan’s School Days. 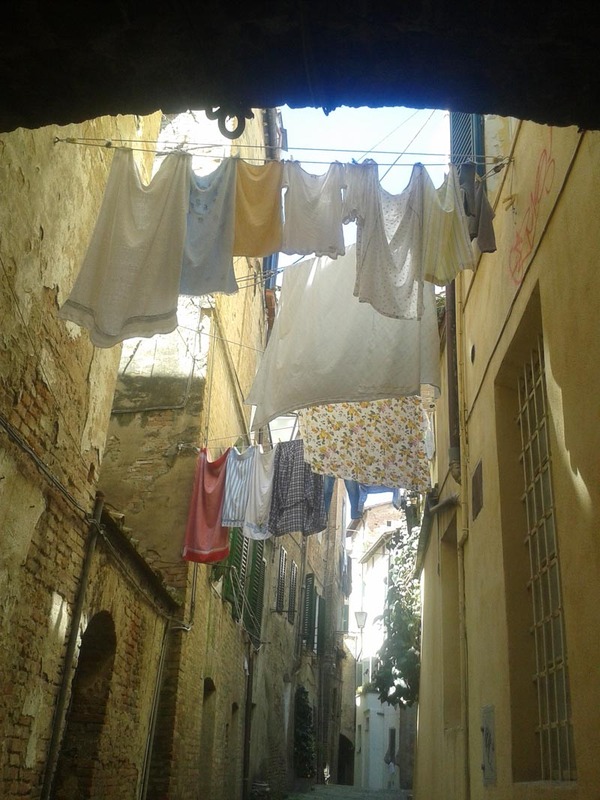 And I finished my trip with a few days in Siena, where I lived for a year as a student…one of my favourite places in the world.